We aren't your typical neighbourhood dog walkers. In fact we aren't dog walkers at all! Some dogs need more than a one hour leash walk or a short trip to the off-leash dog park. That's where we come in! Our specialty is with high energy dogs. We have been working with them for over 9 years now, and we know exactly what it takes to train, stimulate and socialize them. The result is a calm, mentally and physically stimulated dog. Why Send Your Dog On a K9X Excursion? Unfortunately, most dogs are not socialized properly. They are surrounded by misbehaved, overexcited dogs in the neighbourhood which builds fear and reactivity. We take socialization very seriously, so we do it the right way: Patiently, on the dog’s terms. Our pack of dogs are very social but also know how to calmly interact with new dogs which makes it very easy for any dog to fit in comfortably. We absolutely don’t allow overexcited initial interactions. The most important aspect of our day: Structure and Training. Our dogs are held to an extremely high standard. We can heel them on city streets off-leash, recall them off any distraction flawlessly, and keep them from getting into trouble. We focus on controlling your dog’s impulses and keeping them accountable for their actions. The main reason dogs join us on these outings is for proper exercise. On a typical hiking excursion, we cover 5-10km. These hikes range from 2-4 hours depending on the energy level of our pack. The trails can be challenging including hills and obstacles which challenge your dogs mind as well. Most people think dogs only need physical exercise, but that's only about 40% of your dogs energy expenditure. What actually causes your dogs to sleep for the whole day is proper mental exercise. If you ever feel your dogs need more exercise, K9 Expeditions will not disappoint! We don't want to send your dog home covered in mud and smelling awful. At the end of each hike, we spend a few minutes brushing off anything stuck on your dog. This is followed by a quick spray of our All Natural After Hike Spray and a dry-off with a towel. We will clean your dog to the best of our ability before dropping them off! From crated travel to fully structured outings, it’s clear that safety is our #1 priority. We watch the dogs like a hawk and we follow strict procedures to make sure the dogs are always safe. You would never send your child to a daycare without full supervision and rules, so why send your dog to a dog park surrounded by 30-50 untrained, unknown dogs? 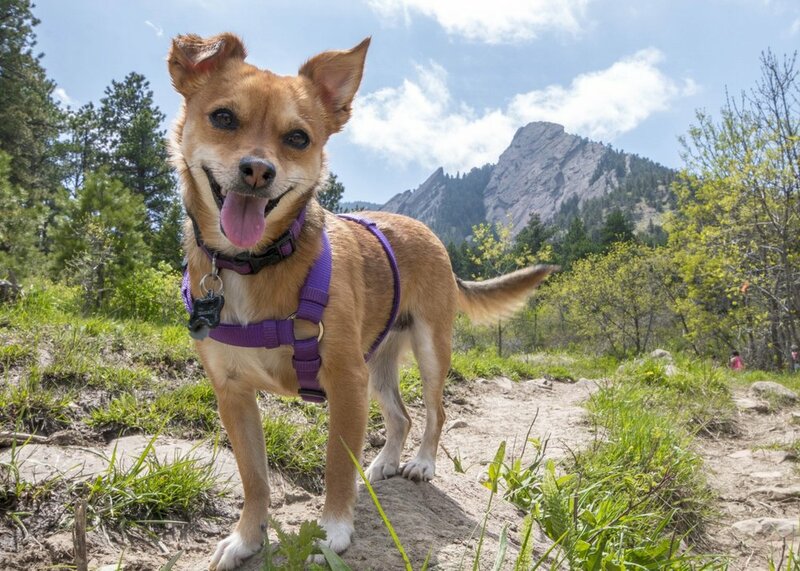 If you are not sure if your dog would be suitable for our hikes, or if you have a young puppy that you would like to send on hikes after they have developed some strength in their bones and legs, check out our private services. 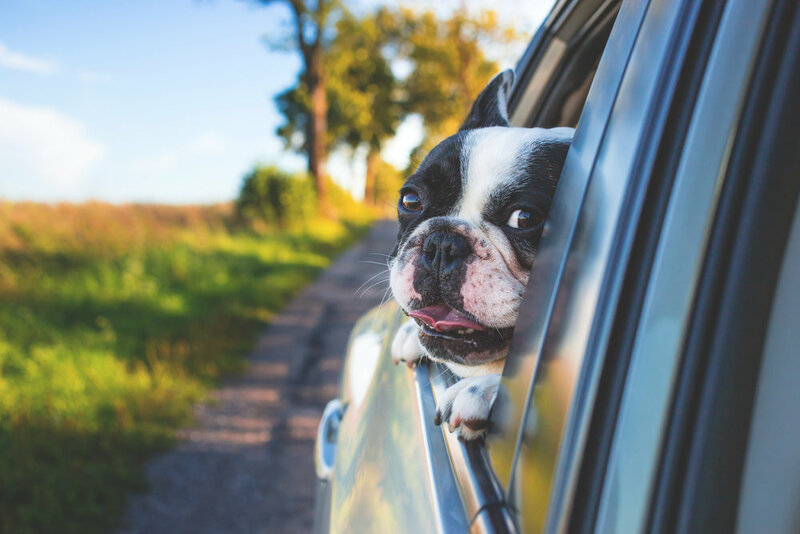 These include private visits for young puppies before they are ready to hike, and programs for older or overweight dogs before they join the hiking program!